Who was there for you when things were so bad? 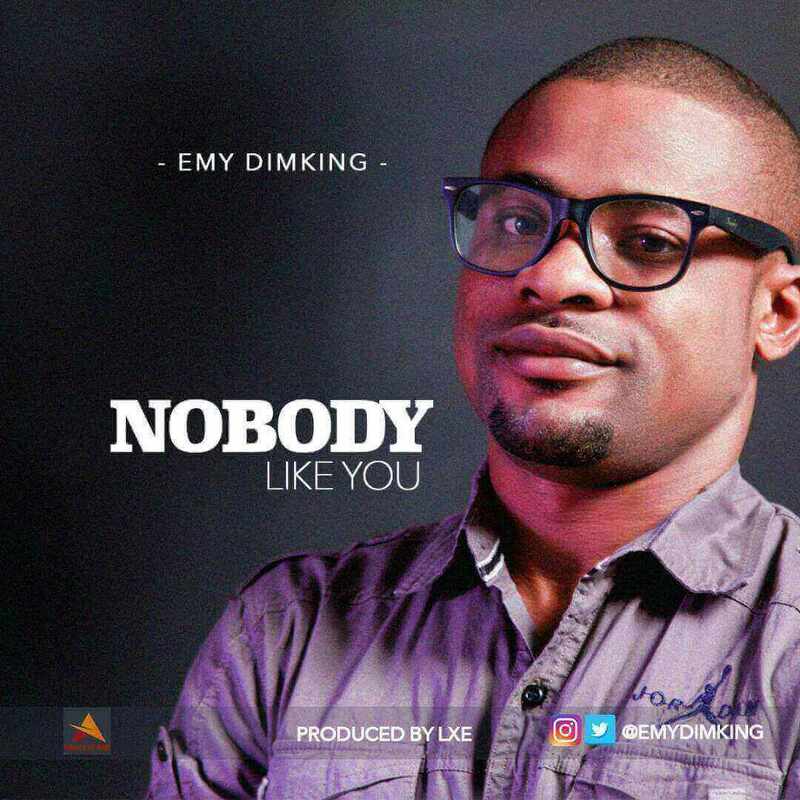 Find that out as Sensational Gospel act, Emy Dimking makes a Grand official entry into the Gospel Music scene with this Inspiring Contemporary Gospo tune, "Nobody like You". Recounting his past experiences, Emy found out that despite being faced with life's hurdles, challenges and short comings, God's extravagant love still abounds and His grace is sufficient enough to turn things around, calm the wailing storm and do the impossible in our favour. Having pondered on God's goodness, he came to a resolve that indeed there is Nobody like God. This is one song that reassures us that God's promises in our life are bound to happen and will never fail. 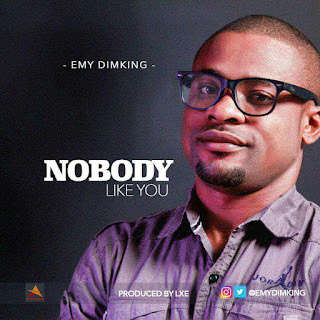 Add more colour to your music playlist with, " Nobody like You". Do download, listen, share and be Inspired! Only you turned my life around. Only did what is impossible. Angels bow the saints they sing aloud. To your majesty, with you all things are possible. Refrain: you took my pain and worry. No body don come tell me sorry. Your promise in my life no get failure. In you I live and move. In rain you 'll be my roof. My praise is not enough. To tell the word your love. When I'm down you lift me high. When I'm far you draw me near. You gave your life so make you give me grace. I no fit wait cos me i dey in a haste. To tell d world dis na your amazing grace. I 'all praise all my days. You gave me grace oh God I'll praise all my days.